Apple, breaking with tradition, said it won’t provide opening weekend sales numbers for new iPhone launches. By not releasing opening weekend sales numbers, Apple is holding back a key metric that some investors have used to determine the success of an iPhone launch. The world’s most valuable company is banking on the new lineup, in addition to new wireless AirPods headphones and water resistantApple Watch models, to avoid a holiday quarter year-over-year sales drop. Apple said that “initial sales will be governed by supply, not demand,” leading the company to determine that opening weekend numbers are “no longer a representative metric for our investors and customers.” The iPhone 7 and iPhone 7 Plus become available for pre-order on Friday, while Apple and carrier retail stores will begin selling the phones September 16, the company said. CNBC earlier reported Apple’s decision. 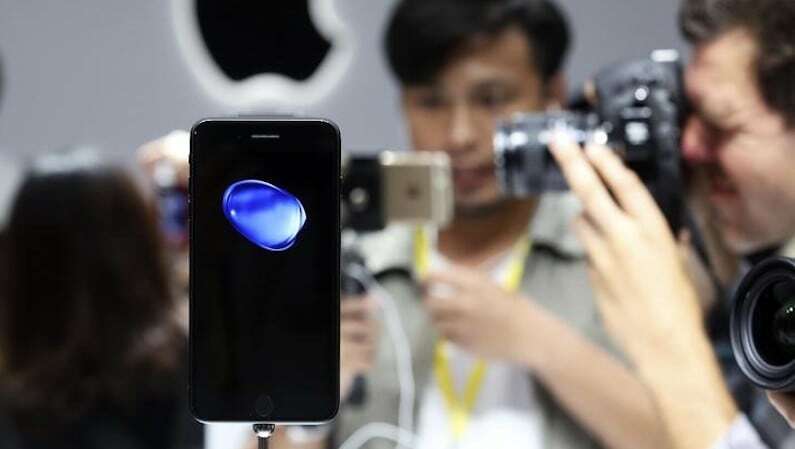 The new iPhones, unveiled Wednesday, include updated designs with two new black color options, stereo speakers, upgraded cameras with new zooming abilities, faster and more efficient processors, improved graphics performance for gaming, better battery life, and lack a headphone jack. The new iPhones start at $649 for 32GB of storage. This shift in strategy on iPhone sales marks the second time Apple has held back some numbers in recent years. For example, following the introduction of the Apple Watch in 2014, the company said it wouldn’t release sales numbers for the device for competitive reasons. Apple has provided no indication that it will stop announcing iPhone sales numbers with its quarterly earnings report. Apple’s forecast for the quarter ending in September hasn’t changed, the company said in the statement. Apple on July 26 projected fiscal fourth quarter revenue from $45.5 billion to $47.5 billion (roughly Rs. 3,02,850 crores to Rs. 3,50,994 crores). Apple reported sales of $51.5 billion and more than 48 million iPhones sold in the same quarter last year.